Sustainable Roofing Texas – 20 years of quality craftsmanship. Sustainable Roofing has more than 20 years of experience in the Texas roofing industry, with a strong track record of professionalism and quality craftsmanship. 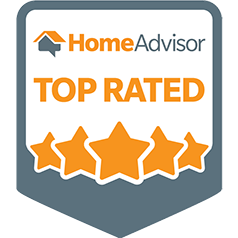 We stand by our work with a Guaranteed Warranty, so our clients can rest easy knowing their roof will last. Share details of your roofing project. We’ve been active in the Texas roofing marketplace for more than 20 years combined. And through those years, we’ve seen enough to know the difference between keeping costs low and cutting corners. We also have a home construction business, which means our contractors have seen everything. Our architectural and structural knowledge helps us carry out repairs to your roof with the longevity of your entire home in mind. Service that will make you smile. When was the last time you had a positive experience on a home construction project? We’re here to break the pattern. You don’t have to live in fear of a never-ending construction nightmare! Sustainable Roofing specialists get the job done right. Our service is fast, reliable, and truly professional. We believe in providing an exceptional customer service experience for each of our clients. Whether you’re in need of an immediate storm repair, shingle replacement, a new roof for a new home, or any of our other services, you can look forward to professional and responsive communication from the first quote to the last shingle! 100% of shingles are recycled. Did you know that the average home has 3-4 tons of shingles, which contain more than 6 barrels of oil? In most cases, these materials end up in the landfill. Not with us. We recycle ever single shingle we remove, and we take sustainability seriously. You can feel confident knowing that we’re keeping the environment in mind throughout your project.